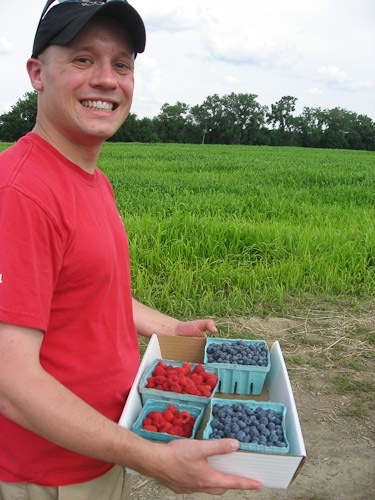 One activity we did while on our Summer vacation in Massachusetts was berry picking at Nourse Farm in Deerfield. We just missed strawberry season, but there were plenty of blueberries and raspberries for the picking (and the tasting). 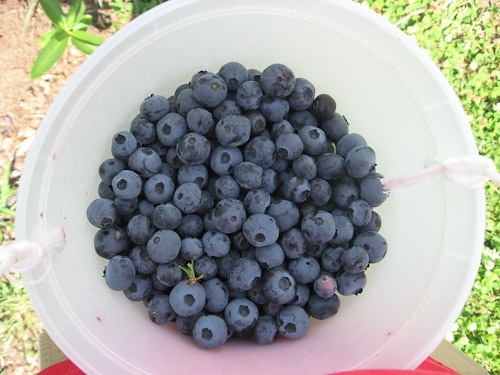 We walked away with 2 quarts of blueberries and 2 pints of raspberries…for way less then you’d pay in a supermarket. 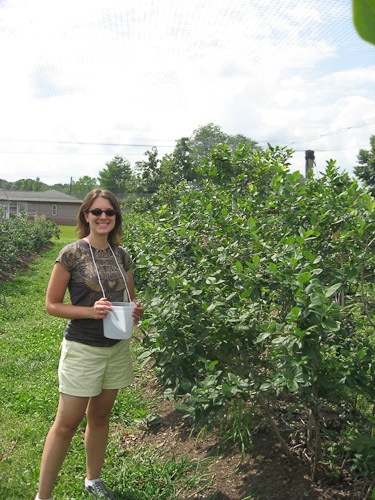 And, the best part about going berry picking is sampling along the way! So, what to do with all the berries? 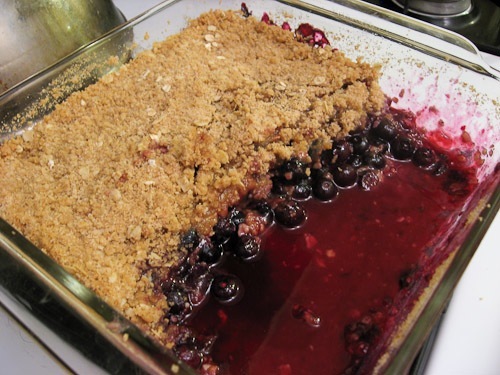 One night we made blueberry crumble, and it was really good.We hunted around for a cobbler, crisp or crumble recipe that we liked. Finally, we found this one from the Food Network. What’s the difference between a cobbler, crisp and crumble you ask? Well, this post does a nice job explaining it, and provides links to some other recipes, but the basic difference is in the topping. For a cobbler, the topping is more biscuit-like, while for a crumble (British name) and a crisp (American name), the topping is sweet. The recipe calls for apple cider or orange juice, but we didn’t have either, so substituted it for lime aid. We had toasted oats on hand, but not toasted almonds, so we just left those out. Lots of left over berries led to some berry shortcake one night, blueberry pancakes one morning, and lots of berries for cereal. Gotta love Summer!! Preheat the oven to 375 degrees. Lightly butter an 8-inch square baking dish. 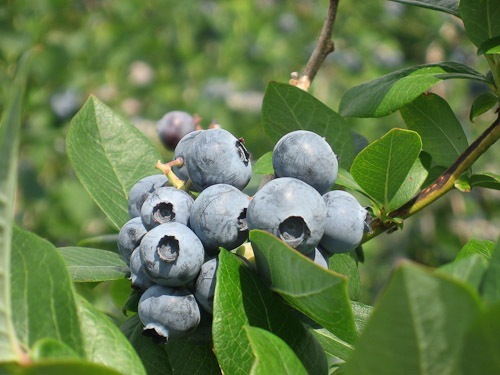 For the filling: In a bowl, add the blueberries, sugar, cornstarch, cider, and vanilla. Carefully mix the ingredients together with a spatula, leaving the blueberries whole. Set aside while you assemble the topping. For the topping: In the bowl of a mixer, add the flour, sugars, and butter. Using the paddle attachment, incorporate the butter into the dry ingredients until the mixture looks mealy or crumbly. (This can also be done by hand.) Stir in the oats and nuts.